It’s no secret that many Georgia Tech engineers move into leadership roles as their careers progress. Leadership just seems to be in the DNA of many of our graduates. But what makes an exceptional leader and how exactly do our alumni rise to these positions? Trevor Larsen, a two-time Woodruff School alumnus (BS ME '88, MS ME '90), certainly fits this leadership mold. He has spent his entire professional career spanning nearly 30 years with The Walt Disney Company. Trevor was featured in the Georgia Tech Engineers magazine back in 2014 where he discussed his early days with Disney as an Imagineer and some of the attractions he helped design. 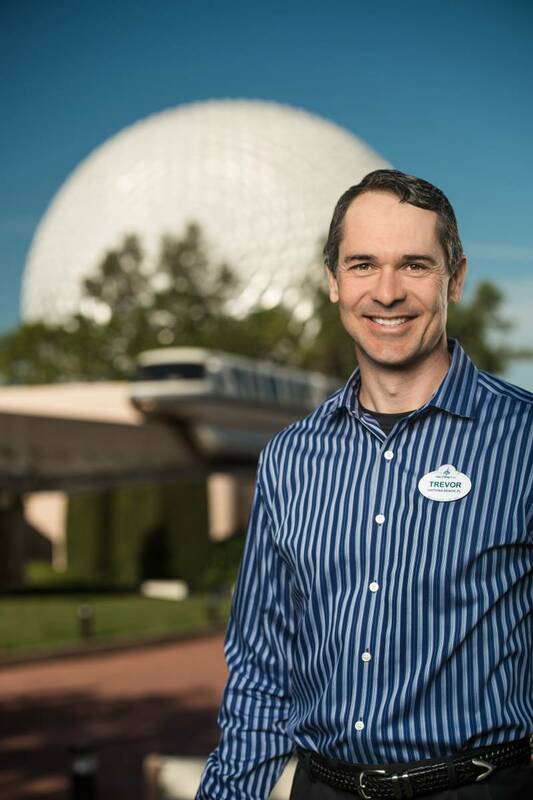 Recently, however, Trevor was promoted to Executive Vice President, Facilities & Operations Services for Walt Disney Parks and Resorts so we decided to have a conversation with him about his transition from engineering into executive leadership. 1. Recently, your role expanded to Executive Vice President, Facilities & Operations Services. This new role now requires you to oversee facilities & operations services for not only the U.S. Resorts, but the international sites as well. Had this position existed before or was it recently created? This role has gone through various changes and it now includes the oversight of Walt Disney World Resort, Disneyland Resort, Shanghai Disney Resort, Disneyland Paris Resort, Hong Kong Disneyland Resort, and Tokyo Disney Resort. The new role reflects our company’s tremendous growth both domestically and internationally. 2. You provide leadership to support teams including: Engineering Services, Manufacturing, Project Management, Property Management, Construction, Horticulture, Distribution Services, Textile Services, Environmental, Utilities, Safety, Global Development, Design & Engineering, and Strategic Sourcing. How do you manage all of these teams? Overall, I am fortunate to have an incredibly competent and mature leadership team that does most of the heavy lifting for daily operations. They keep me well-informed of key issues, and I do my best to help provide required resources and remove barriers that allow them to do their job with excellence. 3. Do some of these teams take more of your time than others? Each team tends to have a rhythm of its own. Teams involved more closely with the daily operations—primarily the services teams—can require immediate attention. Teams involved more closely with projects require periodic regular attention for scope reviews, project funding, and operational integration. 4. What teams do you enjoy working with the most? I love learning and new experiences. With a scope this broad, there is almost never a day I don’t ask questions about topics I am not as familiar with. Our company is filled with subject experts that patiently explain until ‘I get it,’ and I am very appreciative of that. Candidly, there is not a team I do not enjoy working with. Given the broad variety of topics I am exposed to, coming away with new understandings of what it takes to run the equivalent of small cities is very rewarding. 5. What teams did you have the least amount of experience working with before starting your current role? The majority of my early career was focused on either design or services. Developing—and successfully delivering—projects was newer to me. What I have learned is a good scope and subsequent design that reflects the client’s true needs is the key to success. Most often my role in projects is helping assure the project teams have adequate resources—and time—to develop the design to a state that can be accurately estimated and scheduled. 6. Was there a learning curve for understanding what some of these teams do and how they operate when you began your role? In every case, yes! I am a big believer in job shadowing and field walks to understand how things work. I am very much a visual learner, so seeing helps me grasp more quickly than just hearing. 7. How difficult is it to manage facilities and operations for six massive properties that are located worldwide? Are you still based in Florida? How much travel is required of you in this position? Thankfully, technology has enabled many virtual options to stay connected; however, there is no substitute for face-to-face interaction. I am based in Florida and travel to California once a month, and to the international sites at least twice a year. 8. You have been in leadership roles for many years now. Did you want to move into leadership early in your career? Was that a goal that you set for yourself? My goal is always to be my very best at whatever I am doing; work with excellence toward excellence. I wanted to be an engineer since elementary school. I come from a legacy of science and engineering—I guess it’s just in my DNA. When I was offered the opportunity to move into leadership, I really struggled with the idea of leaving my passion for design. After much wise counsel, I took the plunge into leadership. It was the hardest change I had ever experienced—developing people instead of machines—but also the most rewarding. It is an incredible experience being part of helping people achieve their true potential. 9. How many individuals do you now supervise or directly report to you? I have nine direct reports who oversee over 15,000 Cast Members. 10. You have had 14 positions during your 28-year career with Disney. How have you managed to get promoted so many times within one company? Is this vertical growth within an organization a rarity these days? Is Disney unique in this regard? Wow, I did not realize I have had that many positions! I have never had a fully defined career path, although I have tried to be ready in advance for opportunities that may present themselves. Disney is a very large organization with many diverse career opportunities. I have enjoyed the variety of roles I have been part of, and I think that variety helps keep me engaged and motivated to do more. 11. Did you seek out all of these positions or were there a few that you were automatically promoted to? Service anniversaries are automatic, but promotions are not! Advancing at any rewarding activities in life takes hard work and commitment—and sometimes a little luck. Being ready when an opportunity presents itself is the best way to be considered for advancement. My wife and I have raised four very fine young men, all engineers. We have told them all their lives that they are interviewing for a future job every day and in most cases do not even realize it. It is amazing to watch them enter the workplace based on relationships they established years prior. Leaders always remember the people willing to arrive a little early, stay a little late, and do the tasks that others don’t want to. A good work ethic makes a lasting impression. 12. Do you still get to do any engineering these days in your leadership role? 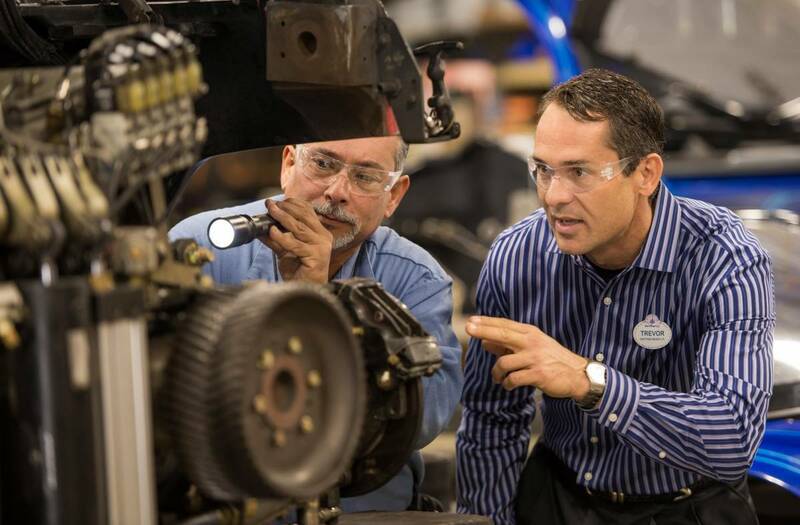 With an asset base of the size and complexity our company has around the globe, I am involved with daily technical sustainment challenges and a tremendous amount of new development. All of that stretches me to learn something new almost every day and the foundations of engineering—critical thinking, being curious, asking good questions—serves me well. But, I suspect the days of pulling out Shigley and doing stress analysis are in the past. 13. What advice do you have for young engineering professionals seeking to get into leadership/managerial roles? What skills and character traits are needed for a successful leader/executive? (Leadership Skills + Management Skills) * Technical Aptitude * Relationship Skills. In the early years of a technical career, Management Skills (planning, organization, etc.) and Technical Aptitude (core engineering competencies) should be the primary focus. If a young engineer wants to advance into a position of leadership, they should expand their competencies and understand what good leadership and relationship skills look like and how to apply them. 14. What are some of the most challenging parts of your job? What are some of the most rewarding parts of your job? In most cases, the most challenging parts of my job are also the most rewarding. The most important aspect of what I do is making sure we have the very best leaders in place that support and inspire their teams every day. That solid foundation of incredible people makes the job truly enjoyable. 15. Reflecting back on almost 30 years at Disney, what stands out the most? During the opening of The Twilight Zone Tower of Terror at Disney’s Hollywood Studios, we stood at the exit and watched the reactions of guests as they exited. Some looked anxious having felt true weightlessness for the first time in their life. Some laughed uncontrollably. They all left with priceless magical memories that will last a lifetime, which by far, highlighted for me the most memorable and rewarding aspect of what we do at Disney. 16. Any comments on gearing up for Walt Disney World’s 50th anniversary in 2021? Our teams are very excited and looking ahead with anticipation to the 50th anniversary. There is so much for our guests to look forward to leading up to this milestone, including the addition of Star Wars: Galaxy’s Edge at Disney’s Hollywood Studios opening on August 29, 2019. 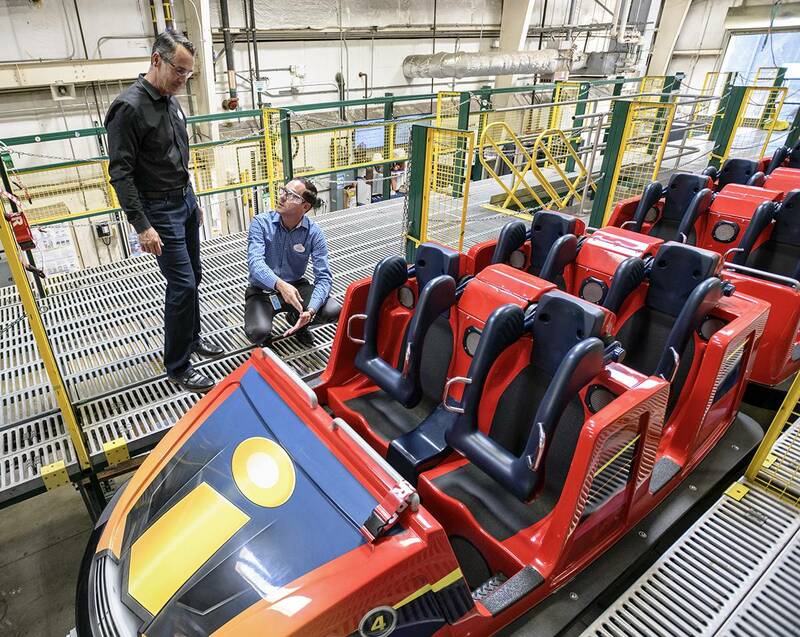 To learn more about Trevor and his work with Disney, please see the 2014 article titled "The Magic of Engineering".